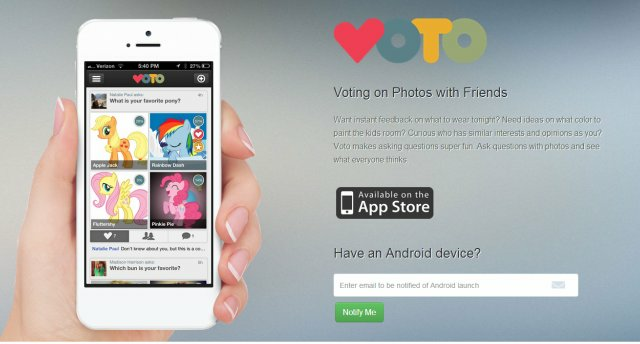 Voto for iOS (coming soon to Android) is an easy and fun way to poll your social network using photos. Love it. Great idea. I can see this being very useful and fun.